Bird Box, Netflix's new psychological horror film, has streamed to over 45 million users... and it is adding to the stigma surrounding mental illness. 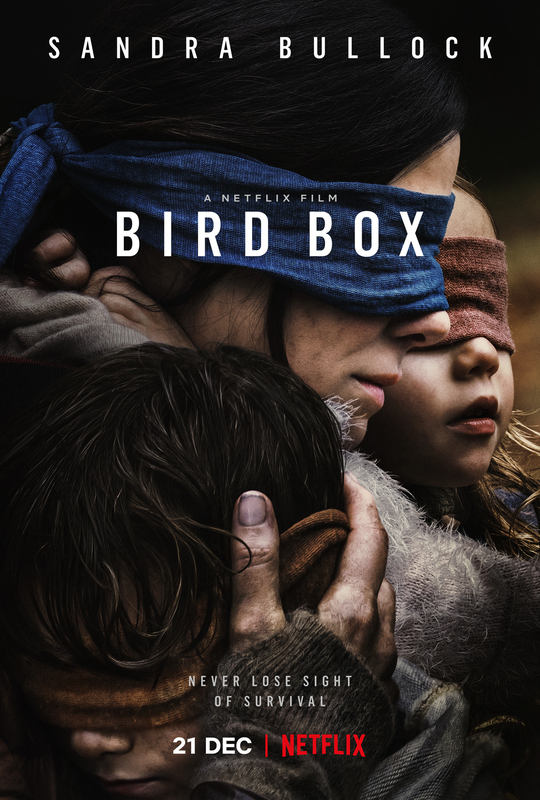 Yesterday I joined over 45 million other Netflix streamers and watched the film that has become a current social media phenomenon, Bird Box. The dystopian psychological thriller centers its storyline around an ominous and demonic force which has overtaken Earth. The sight of this monster leads one to a gory suicide and has caused the emergence of a mass suicide pandemic. This general premise alone gave me great cause for concern as to how the filmmakers would portray the illness — which according to the NIMH is the 10th leading cause of death in the U.S. This concern only intensified as I ventured further into the film. Within 10 minutes of the film, there had already been two graphic suicides portrayed. This was not an isolated incident, as by the end of the film nearly 10 suicides are shown on screen in gruesome detail. Since the nature of a horror film often involves incorporating an element of surprise, it is a signature of the genre to feature death scenes in a gimmicky manner for shock value. But this movie does not deal with a gimmick — it deals with a real-life health concern. Portraying such graphic representations of suicide repeatedly and unabashedly is frankly irresponsible and easily has the potential to cause more trauma and pain to those struggling with suicidal thoughts, self-harm, and anxiety. By placing the suicide scenes in jarring and unexpected moments of the film, viewers had their autonomy stripped away, lacking a chance to look away if they deemed these images to be damaging to their own psychological well-being. Autonomy is essential in this situation, as seeing images and even hearing noises associated with self-harm and suicide can lead one to be transported back to their own experiences of trauma. For this reason, the movie undoubtedly should have included a trigger warning. More so than simply the rating of “R,” a trigger warning would more directly indicate to viewers what themes they would encounter in the film, allowing them to make a more informed choice about whether or not they wanted to see the film. But beyond even a trigger warning, I question what message Bird Box is portraying as a film and how the film is impacting our cultural perception of mental illness. I think this question is of paramount importance because though a movie is primarily made for the purpose of entertainment value and not for educational or real-life application, the media that we consume inherently informs and shapes the perceptions that we manifest in society. Thus, this separation of what we view as a truly “educational device” is not such a simply distinction to make — as a technology-driven society, a plethora of our beliefs are rooted in the media that we consume. No form of entertainment can ever truly just be “entertainment.” There is always a greater message that is taken away by viewers, just based on how humans naturally synthesize and compartmentalize the information that we perceive, even if it occurs subconsciously. It is true that some forms of entertainment deal with lighter themes than others with varying impacts on their audience. 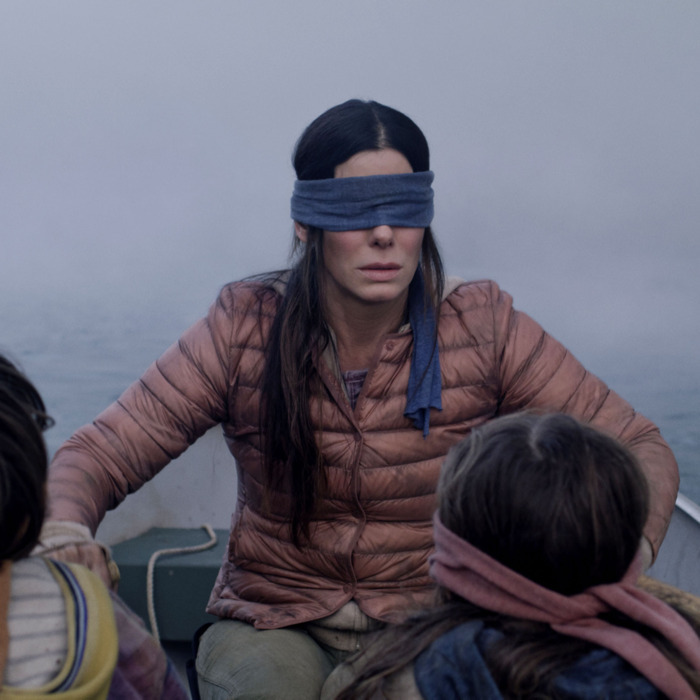 However, in the case of Bird Box, the filmmakers chose an incredibly serious topic to hone in on and with that topic comes a responsibility to ensure that they are not perpetuating harmful or false ideas through their storyline. But Bird Box does just that, perpetuating the false notion that mental illness is correlational to malevolence and homicidal behavior. Remember how in the film the sight of the demons leads one to suicide? There’s a caveat — those already living with mental illness are unaffected by the sight of the demons and in fact try to kill the “normal” people by exposing them to the monsters. The few characters who are shown as living with mental illness are portrayed as thriving off the twisted mission of the diabolic entities to eradicate humanity. Such a comparison is truly ludicrous, literally situating those living with mental illness as not only the “other,” but as supportive to an agenda of ending the rest of human life. The film perpetuates the false stereotype that those who are mentally ill are a threat to society and are inherently violent beings. People with severe mental illnesses are over 10 times more likely to be victims of violent crime than the general population, as opposed to perpetrators of violence. Bird Box is not alone in its portrayal of those living with mental illness as evil — many Hollywood films have fallen into this trap of villainizing mental illness. Through these films, the myth that people with mental illnesses are violent is embedded into society. For instance, in M. Night Shyamalan’s Split, a man living with dissociative identity disorder is entirely dehumanized to the extent of becoming a beast, which perpetuates the monolithic narrative of those living with mental illness as subhuman and dangerous. Bird Box further cultivates this narrative, explicitly pinpointing those living with mental illness as the homicidal “other” in the film. Cemented as malicious, demonic “others,” the film makes a dangerous metaphor here, seemingly saying that those struggling with suicidality and self-harm want to cause the same pain they are feeling to other people, which beyond being simply a false supposition is incredibly stigmatizing. There are two main characters portrayed in the film living with mental illness, Fish Finger and Gary. The former, who is a cashier, is described by his co-worker Charlie as an ex-convict who was “always a bit crazy” and indirectly forces Charlie to sacrifice himself for the sake of the larger group. The latter, perpetuates this notion that mental illness correlates to homicidality. About halfway through the film, Gary enters a house where some “survivors of the pandemic” have sought refuge after having seen the demons. Since he is portrayed in the film as someone living with mental illness, Gary takes much pleasure and delight in the demonic entities and ultimately kills three of the other characters. Every single character living with mental illness in the film is portrayed as an agent of wickedness and an enemy. More than the suspense or plot line, what really disturbed me was the film’s contribution to further stigmatizing mental illness and those living with illness. It is essential to shed light on these negative byproducts spewed out of the film because of the applicable devastating effects cultural stigma has on both inducing self-stigma and increasing barriers to mental healthcare and treatment. As of 2016, the National Academies of Sciences, Engineering, and Medicine have called for a multi-decade national effort to reduce stigma surrounding mental illness, which will only succeed if we start looking at how we are cultivating stigma at every level, ranging from our daily interactions to fostered societal norms to media portrayals of illness. Ashley Cooper is a sophomore at Harvard College jointly concentrating in Neuroscience (on the Mind, Brain and Behavior Track) and Social Anthropology. She is also pursuing a secondary field in Theatre, Dance and Media and a Language Citation in French. She is deeply interested in the intersection between culture and psychiatric care. Ashley recognizes that representation is of paramount importance when it comes to working towards total equity in mental health care and subsequently yearns to improve mental healthcare to better meet the idiosyncratic needs of minority communities.